The last two days we spent talking, calling, much calling, waiting, drinking tea, smiling, sometimes shaking hands, sometimes putting my hand on my breast and then it seemed that yesterday evening the solution was there. Ahmed discovered in our passport that we had a special permit for work in Iraq valid for one month. That was what we tried to obtain yesterday energetically and now it was handwritten in our visa. So that obstacle seemed out of the way. This morning Ahmed was leaving for Holland so I was up early to wave goodbye. He seemed very worried. The political situation in Iraq worries him a lot. His advice: Go to the Marshes and then go away. It is too dangerous now. Marsoomi also looked worried and he is now going to the Governor to arrange our visit to the Marshes tomorrow. Here we are very safe with a paradise surrounded by fences and patrolling policemen. This morning last minute talks with Chaib Marsoomi together with Ahmed Faraj. And then the works on the Tigris riverbanks. Now still an image from the past and the present. 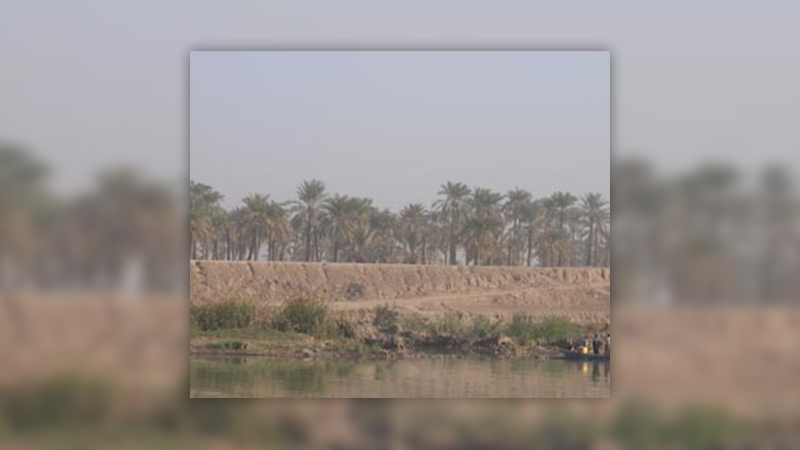 Soon 5-star hotels at the shores of the Tigris. In the meantime I am not getting bored. We get visitors everyday. At the building site we met Hasan, Ali and Riaed, workers from MercyCorps. An international movement for help in areas in shock. Yesterday they showed a movie they made themselves about the Marshlands. Finally we saw something about this beautiful land. And unfortunately there is not much left from this paradise for birds, plants and people. At this moment Syrians, Turks and Iranians are building dams in the Tigris and one of the consequences is that the soil gets silted. I hope that we see the beautiful part tomorrow. Although I know that is an illusion. We met also Mohammed, an Iraqi who lives in Utrecht and is visiting his family here. We talk over the phone everyday and yesterday we lunched together. It is nice to to talk too an Iraqi in Dutch now and then, to understand everything a little bit. And now we wait for Mr. Marsoomi. In the meantime Sam reads an old HP magazine and Thomas did his washings. Sam always translates my text in English and I am very glad with that and the reader will be grateful probably.